Now, that’s a safety violation of the first order. In the US, for example, it’s a violation of FDA guidelines – and I assume that’s the case the world over, including in Malaysia. The idea, of course, is to protect consumers from anyone who might – for whatever reason – tamper with the medicine inside (regulations inspired by the Chicago Tylenol murders of 1982). Out of curiosity, I opened the opened box, anyway (because I had a really, really bad headache). And inside it went from bad to worse: the bottle lacked a safety seal. 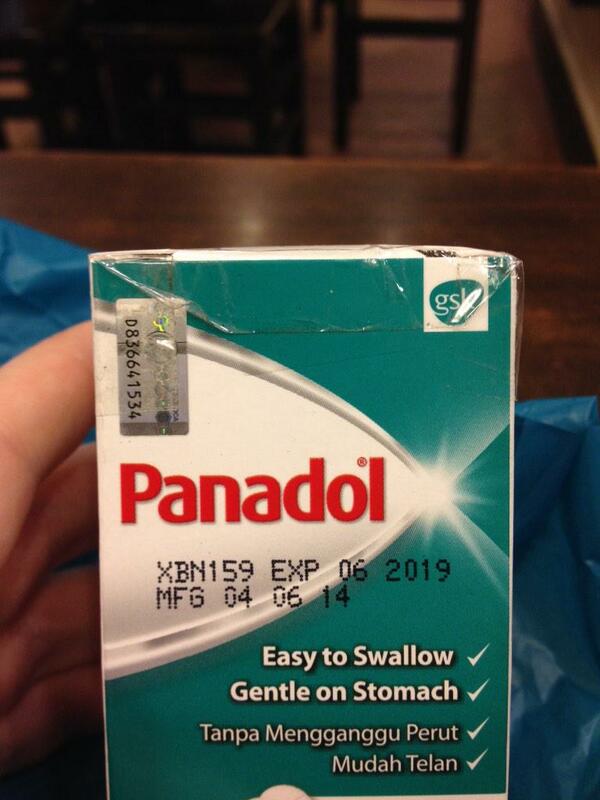 In other words, thanks to Watsons, this package of Panadol was unsafe; anybody could’ve altered the contents. So, first off – I won’t be buying Panadol or any other product from Watsons, again – and neither should you, dear reader, if you value your health. In fairness, the account in question is not verified. Also, it only has 92 followers (unlike the Watsons Malaysia Facebook account, which has 615,919). So how can I be sure it’s actually a Watsons account, and not a parody account? By asking! 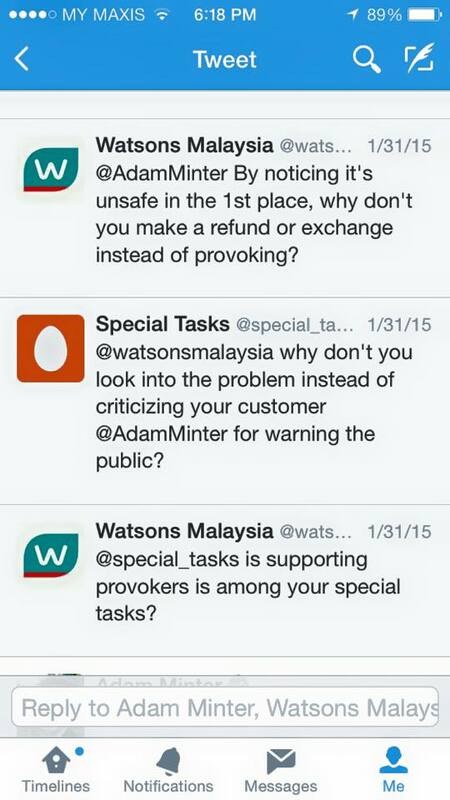 Specifically, I reached out to Watsons Malaysia via phone, email (a Watsons phone operators gave me the address of a press contact at the company), Facebook, and Twitter with the same question – is @watsonsmalaysia a company-run twitter account? Presumably, if the account wasn’t affiliated with Watsons, the company would’ve been quick to tell me so. Instead, they’re ignoring me. That is, no response to any of my inquiries – precisely the kind of behavior I expect from somebody who doesn’t believe there’s any reason to explain anything (such as the stubborn druggists at … Watsons Malaysia). Meanwhile, the @watsonsmalaysia twitter account continues to spew out advertising tweets simultaneous to their posting on the company Facebook account. Needless to say, that’s not the kind of behavior that a parody account would generally engage in. So, on balance, I think we’re dealing with a real account. But I’m open to persuasion, and if somebody from Watsons would like to reach out to me with an alternative explanation, well, you have my contact info. In any case, the real story here isn’t social media. It’s that at least one branch of Asia’s largest “personal care” chain is altering the packaging of a widely used drug in a way that makes it unsafe to consumers. That they’ve chosen to ignore good faith efforts to remedy this failure is all the evidence anybody should need to decide that Watsons doesn’t much care about consumer safety. Shopper beware, and spend your money elsewhere.